Santa Fe, New Mexico is one of the world’s most vibrant arts centers. Home to hundreds of galleries and dozens of museums, it’s known worldwide for its art markets, events and performances. 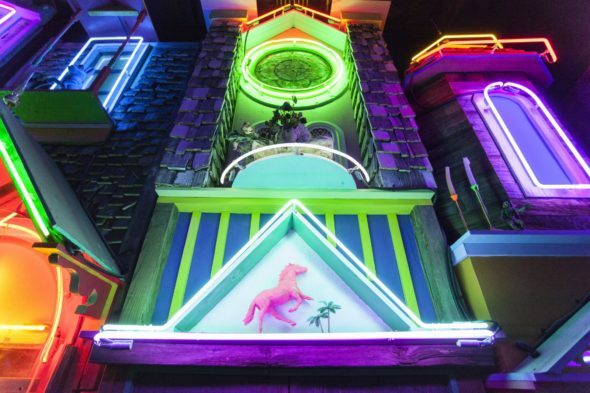 Documenting a few of Meow Wolf’s early successes, the film culminates with their most ambitious endeavor: the House of Eternal Return. A 20,000 square feet interactive, immersive art installation, it’s one of the most incomparable and wondrous projects you’ll have the pleasure of viewing from conception to completion onscreen. Watching Meow Wolf create ambitious, quirky projects is like watching a great band write game-changing songs. There are tense moments, fights and losses, but when things come together you’ll come as close as one can to true magic.